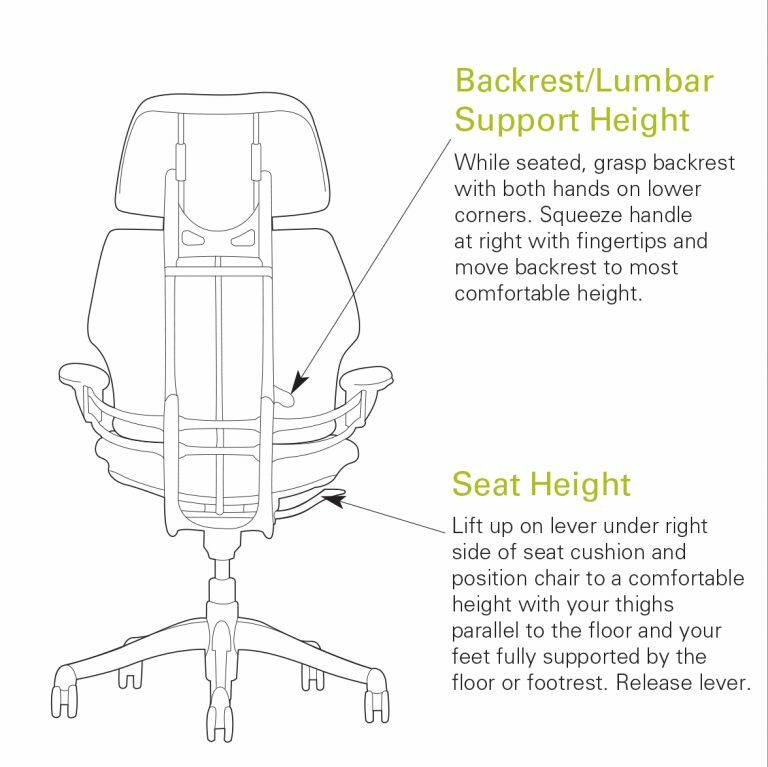 HumanScale are known for their iconic chairs. The chairs are designed with simplicity in mind and the functionality is almost invisible to the user. They have no clunky or heavy mechanisms and are made to adapt to the users body weight to encourage movement. The Freedom range was created by American designer Niels Diffrient. It is beautifully designed and winner of 10 design awards to date. The genius of the Freedom range is that it automatically adapts to the body of the individual using it. The Freedom chair offers a weight sensitive recline, continuously adjusting the back resistance to your body weight for a custom fit. 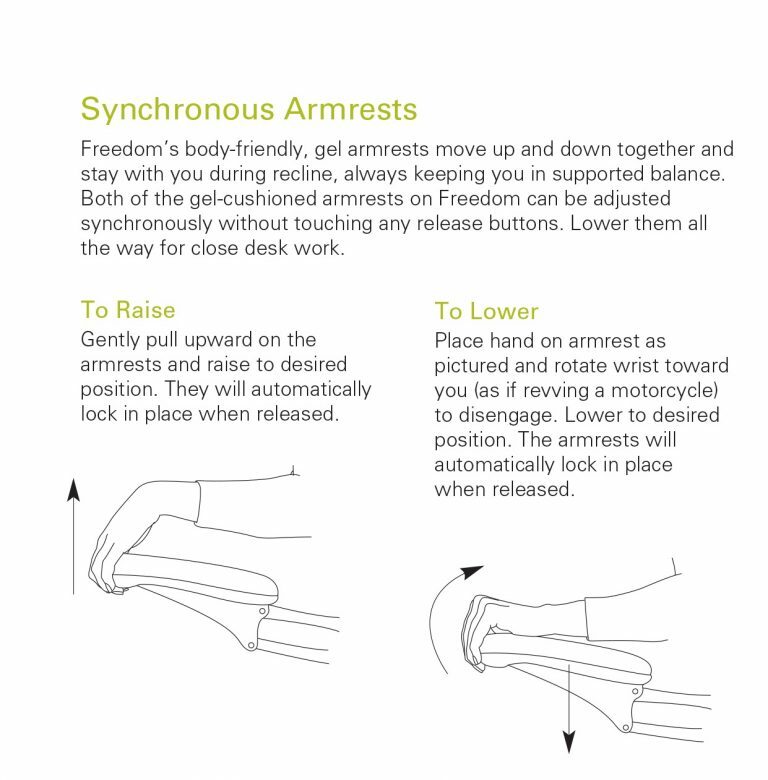 It moves with you, allowing you to change your posture throughout the day which is hugely important for your health. The seat, backrest & headrest can all be positioned independently from one another to fit you exactly. Find the lever on the right side under the seat cushion & lift upwards to adjust the seat height until your thighs are parallel to the floor and your feet are flat. To adjust the backrest to the desired height to support your back, use both hands to grip the lower corners of the backrest whilst seated; squeeze the handle on the right with your fingers and move the backrest to the most comfortable height for you. 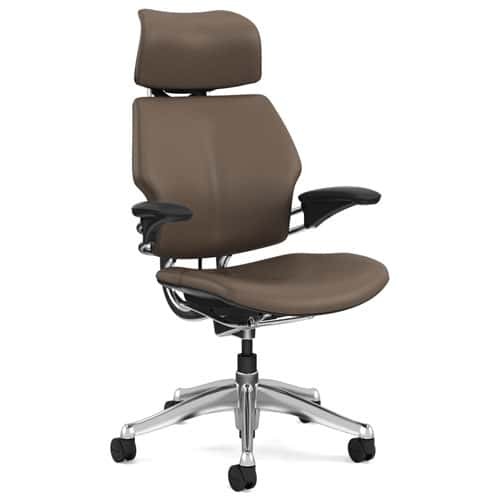 The backrest is sculpted and matches the contours of the body. It also pivots to offer continuous support during movement. To adjust the seat depth lift up on the lever under the right side close to the front edge of the seat. You should adjust the seat so you’re sat with your back against the backrest and 2 – 4 inches of clearance between the front edge of the seat and the back of your knee – then release the lever. Lastly on the Freedom Task Headrest model, the headrest can be pulled up or down until it fits comfortably to support your neck and head. Simply grasp the headrest with both hands and moved to the desired position. 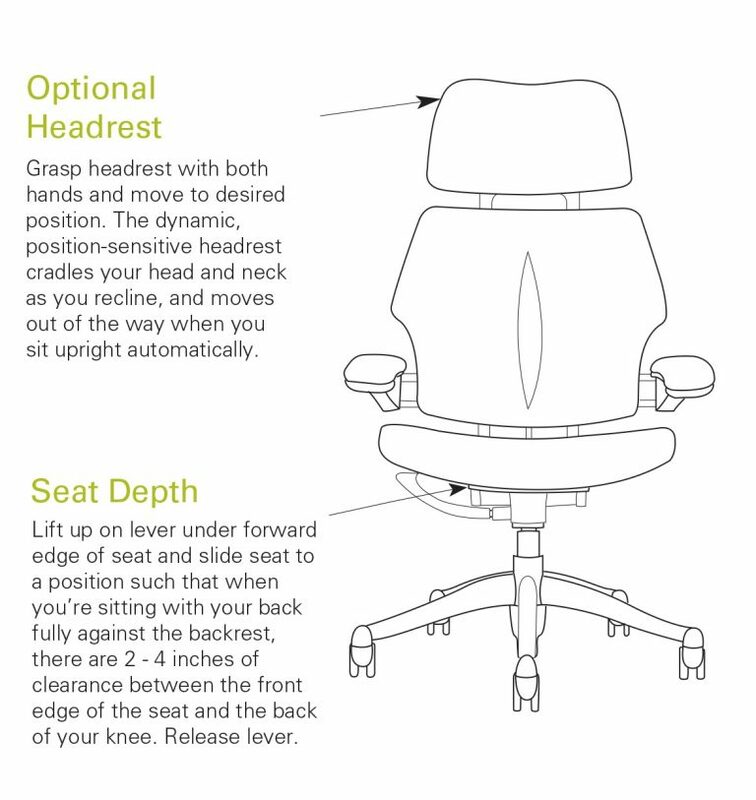 The dynamic headrest continually adjusts to support your neck & head when you move and automatically moves out of the way when you sit upright. The Freedom has gel cushioned armrests. To adjust these, place your arms on the armrests to start. To move them upwards gently pull up on front of the armrests and they will glide upwards. Once released they will lock into place. To move the armrests down, place your hands on the armrests and rotate your wrist toward you – like revving a motorbike engine. Simply move to the desired position and release them to lock into place. Your arms should be at a comfortable 90 degree angle with your wrists straight and fingers flexed. Unlike most chairs, the arms move in tandem for balanced support and are attached to the back of the chair, so they move with you during recline. The HumanScale Freedom range revolutionises the way you sit and sets new standards for the task chair. Browse the HumanScale Freedom range below & view our HumanScale shop here!